School 18 was one of the schools rehabbed through the project.on. It's over. The lawsuit between the Buffalo School Board and LPCiminelli over the district's school $1 billion rehab project has been settled. Basically, the two sides decided to settle where they were and each side will pay its own legal bills. That means the district will pay just over $3 million to LPCiminelli as the last payment in the $1.3 billion Joint Schools Construction project, while the district gets to spend $11 million that has been locked in a bank account for years. The attack on the contractor was led by former Park District school board member Carl Paladino, a developer himself, who argued the district had paid way too much money for the project. 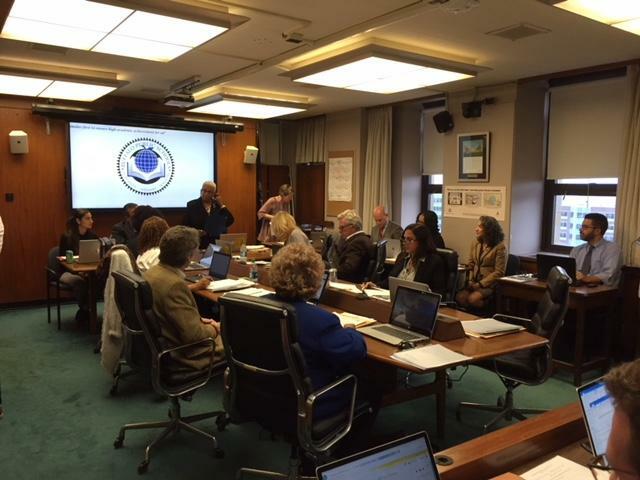 Board General Counsel Nathaniel Kuzma told WBFO the district might sign the legal papers Thursday. The Buffalo School Board has been fighting over the school rehab project for years. "The district is going to pay the remaining $3.1 million that was tied to this project, to LPCiminelli. That will fully close out the project and any remaining funds that are left from the project will be able to be redistributed and used by the district." Kuzma estimated the years of litigation have cost the district around $500,000 in legal fees. He said the district wound up with really fine, state-of-the-art schools over the years of the project in all of its phases. "We have fantastic schools as a result of this project," he said. "We were able to access certain information that we felt we were entitled to review and, at this point, the board has made a decision it is choosing to invest its dollars elsewhere, as opposed to in this litigation and we're going to move forward from there." Kuzma said the case could have continued. "If we chose to continue, we would certainly continue to battle it out with them and they would battle back and we would be in this for years to come," he said. "So we have made the decision, at this point in time the parties have, to move forward and to resolve this."